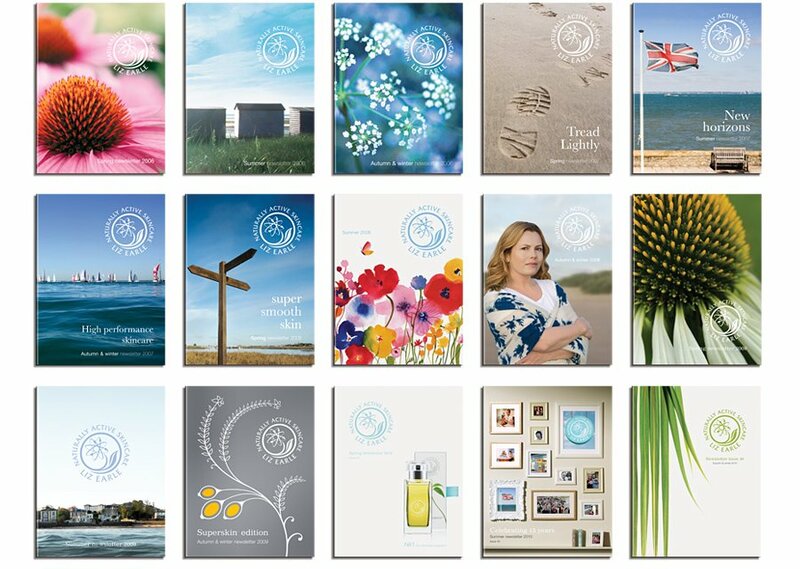 Over a period of 5 years we developed the Liz Earle customer newsletter. In that time it grew from a simple saddle stitch brochure to a multi-sectioned perfect bound brochure. The newsletter is broken down into an editorial section at the front and a product section with 12 pages printed on an uncoated stock for the men’s skincare section. These are some sample spreads from the spring 2010 edition which focus on the launch of the haircare range. 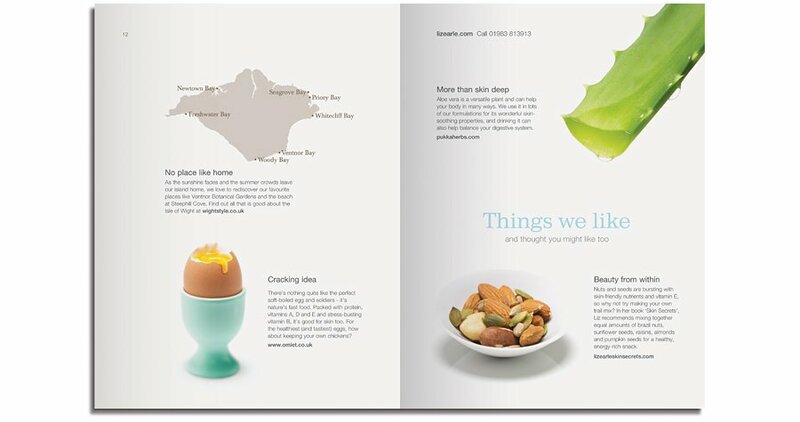 The title bar of this page shows the cover image from the Summer 09 edition, a panoramic of Ryde on the Isle of Wight and showing the home of Liz Earle Naturally Active Skincare. We had to stitch together over 10 separate shots in Photoshop to get the final wrap around cover image. 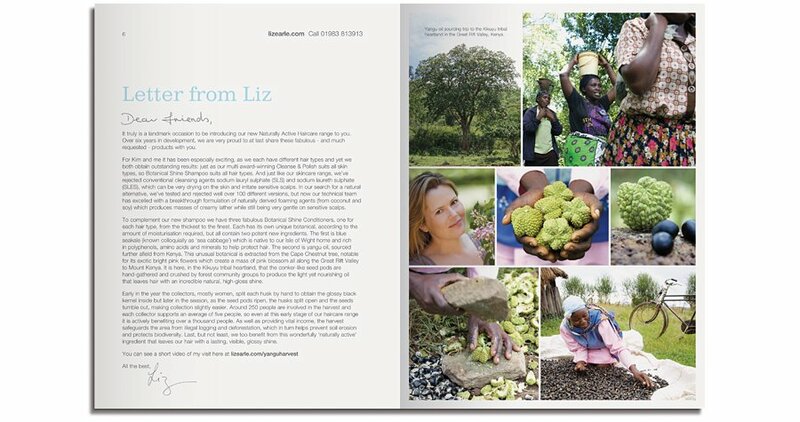 Each edition required design and artwork plus photographic art direction and retouching.